Cute duplex just 2 blocks from downtown Rockport shops and restaurants! Nanny’s Coast House is a cute two bedroom one bathroom duplex two blocks from the downtown shops and restaurants in the Rockport Heritage District. This beautiful little gem adorns a beachy flare with modern appliances and has been freshly updated and will sleep up to four people. Nanny’s has everything you need to make your stay perfect. The living room has one couch and two comfy chairs that face the dining room table and large window. The dining room table sits up to four people. The living room opens up into the kitchen which has a small bar area with bar stools. The kitchen is also fully equipped with a microwave, coffee maker, toaster, blender, and pots and pans. There is also a charcoal BBQ grill and huge yard! This two bedroom one bathroom vacation home has a queen size bed and coastal decor in the main bedroom and two salmon colored twin beds in the second bedroom. The bathroom has new appliances including a tiled walk in shower. Towels, linens, blankets, and pillows are provided. Enjoy Nanny’s Coast house for a great trip to Rockport. We know you will enjoy your stay! Nanny’s Coast House is just minutes from downtown and all that Rockport has to offer. Enjoy shopping at some of our fantastic and unique boutiques or sipping on your favorite beverage while watching the boats come in. Rockport has a multitude of art galleries and eclectic shops as well as many great restaurants. Spend a night out enjoying delicious fresh seafood while watching a breath taking sunset over the bay. 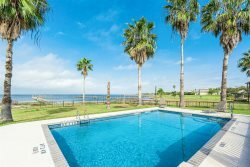 This house is also only a short drive away from the Rockport Beach where you can find some of the best fishing spots, birding, and of course swimming! Also don’t forget to check out some of our historical sites and parks including The Fulton Mansion, Memorial Park, The Texas Maritime Museum, and Goose Island National Park. Swing by the Chamber of Commerce and pick up some information on other exciting things to do in Rockport. This house is the perfect vacation spot for families and friends. You won’t ever have to worry about running out of things to do since this house is located so close to downtown Rockport. You don’t even have to drive to get there! Leave all the stresses of the real world behind and come stay at the Nanny’s Coast House for the vacation of a lifetime. WEEKLY RATE - RENT 5 NIGHTS, GET THE 6TH and 7TH NIGHT FREE! !